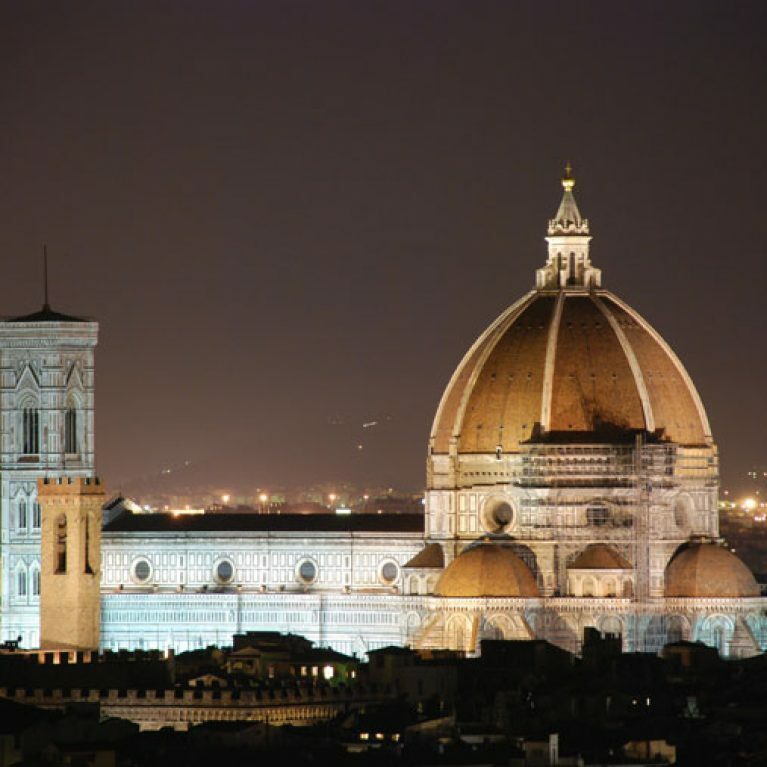 The Cathedral of Santa Maria del Fiore is the cathedral of Florence overlooking the square. 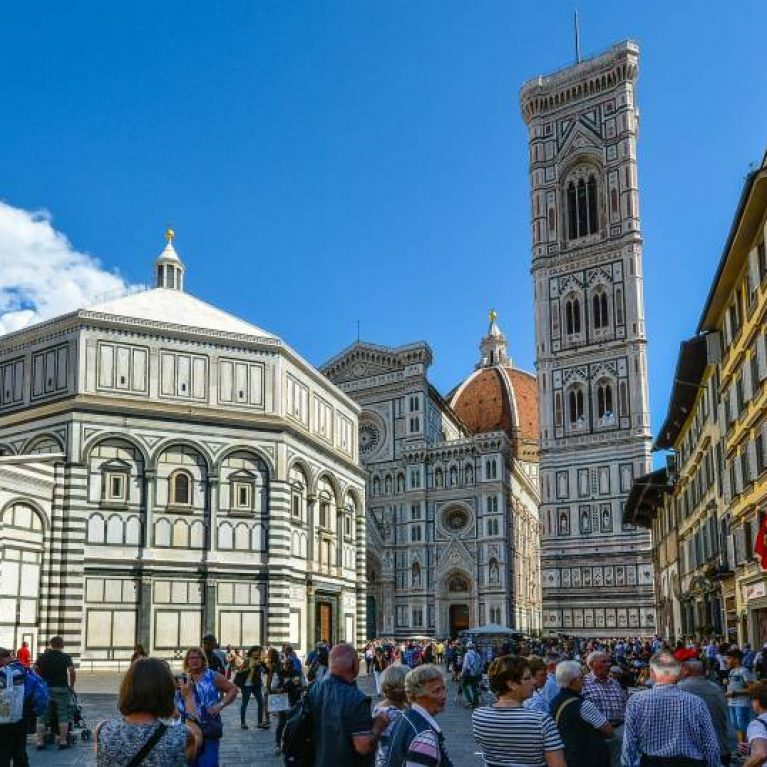 It has a peculiar plant, consisting of a body with three naves welded to a huge round triconica that support the immense Brunelleschi’s Dome, the largest masonry dome ever built. 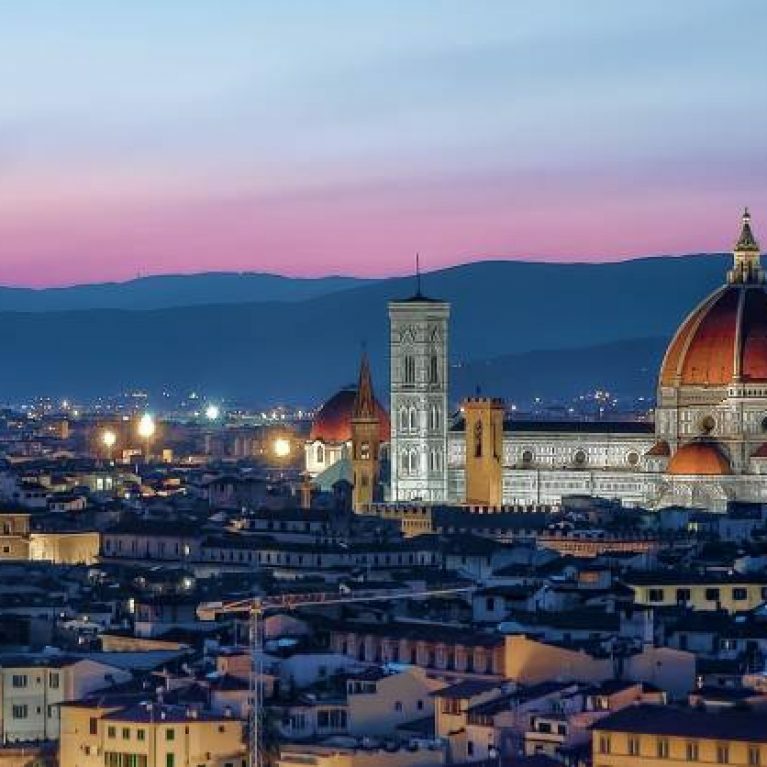 Inside you can see the largest area ever decorated with frescoes, painted between 1572-1579 by Giorgio Vasari and Federico Zuccari. 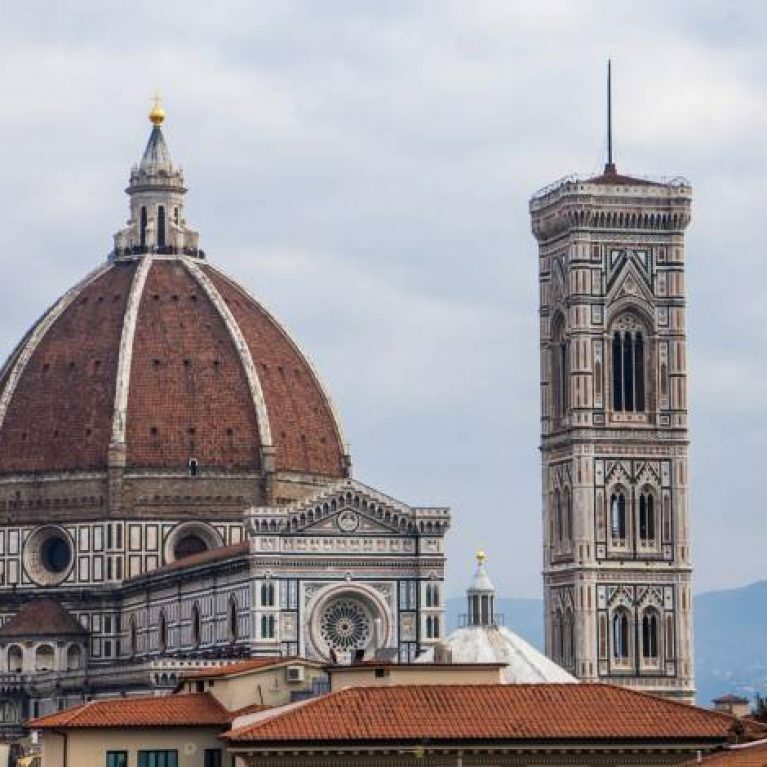 Very important is beyond the bell tower designed by Giotto.